Tired of life in busy Barcelona, Sara Ortín León traveled into the mountains in northern Spain to spend a couple relaxing months at her family’s home in La Rioja. 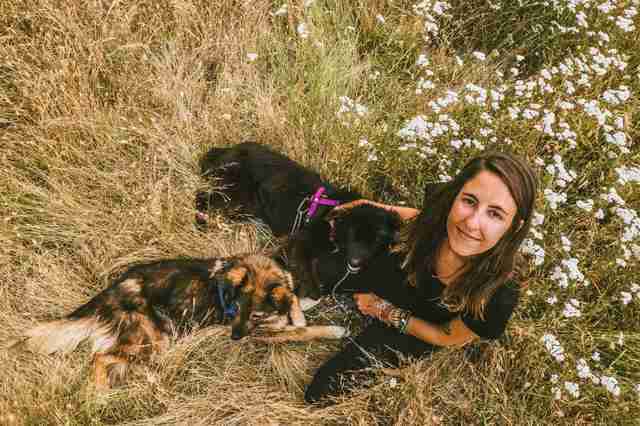 She took her three rescue dogs with her, including Ginger, whom León had rescued in Zambia a couple years ago — but little did León know that she’d soon be rescuing more dogs. 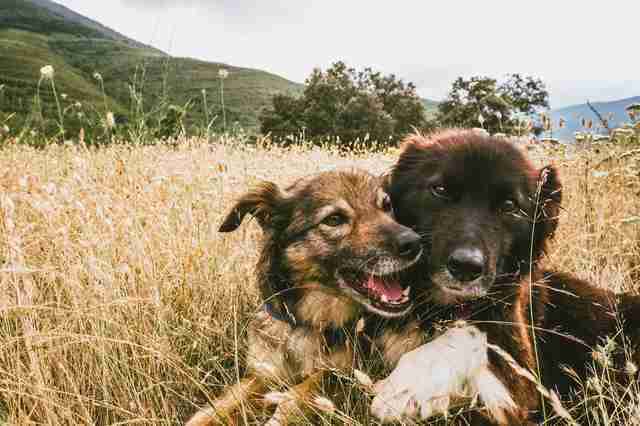 During her stay in La Rioja, León was doing a lot of hiking, and one trail led her to an old sheep barn with two skinny Australian shepherd mixes chained outside of it. 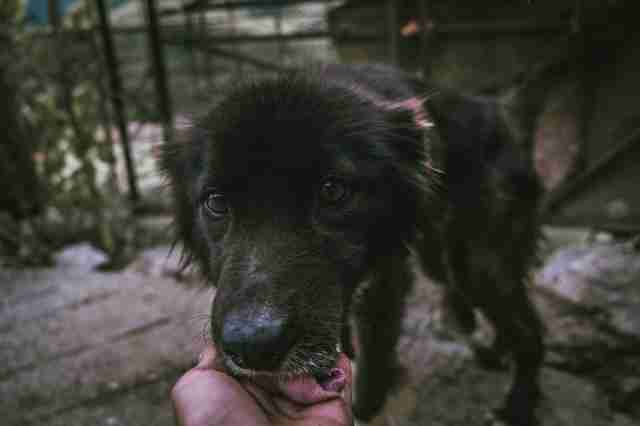 The dogs didn’t have any food or water available for them, and their chains were so tight around their necks, they seemed to have trouble breathing. The chains were also about 3 feet long, which didn’t give them much movement. At first, León assumed that they belonged to someone, and they probably weren’t kept like this all the time. 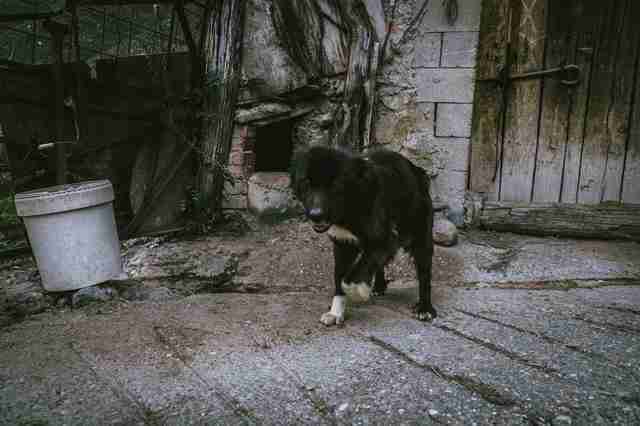 But when she returned to the shed the next day, the dogs were still there without food and water. She visited the next day, too, and the dogs remained in the same position. At that point, León wasn’t sure who owned the dogs, but a local friend of hers was familiar with the dogs’ situation. León knew she needed to rescue the dogs, but she had to figure out whom they belonged to. Since La Rioja was a small town, word would spread if she took them without permission. Another problem León anticipated was getting the dogs used to her. 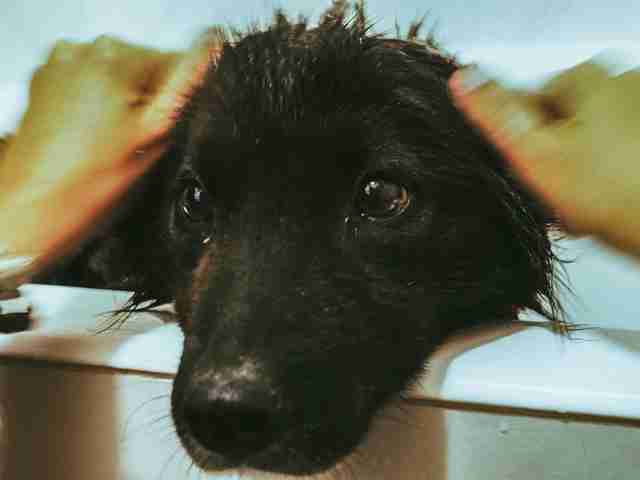 While the older black dog, whose name she learned was Opis, was very friendly, the other dog, Mori, was skittish and scared. León started visiting the dogs every day, spending several hours with them each time. She eventually found the owners — they were an elderly couple in their 90s who used to farm sheep, and Opis and Mori had been their shepherd dogs. Mori, who was about 8 years old, was the mother to Opis, who was 6. “They said, ‘We sold the sheep years ago, but since they were good working dogs, we didn’t want to kill them as all of our friends did,’” León said. León realized the couple thought they were doing right by the dogs. 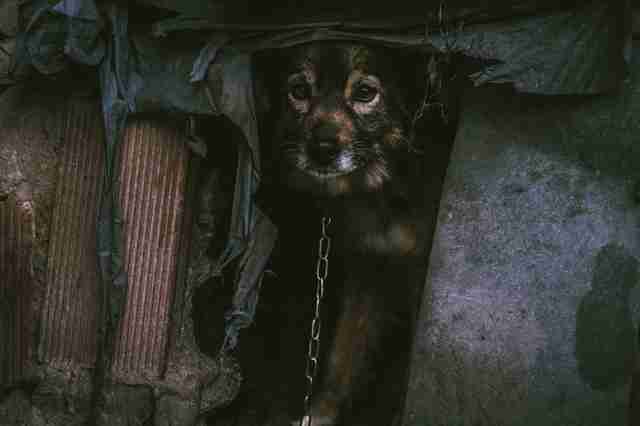 León calculated that the dogs had been chained up for years — possibly even as long as six years. 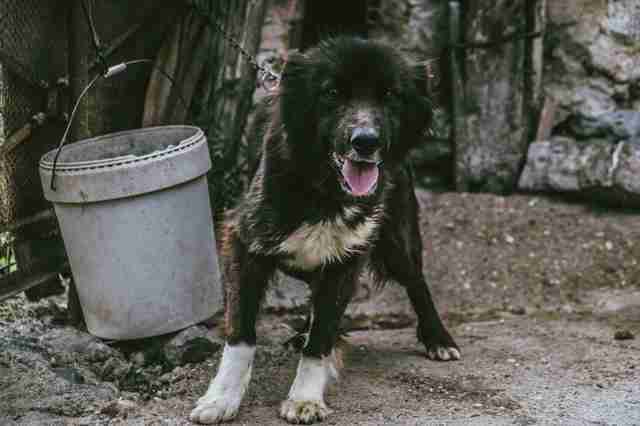 When León broached the subject of taking the dogs from them, the elderly couple were hesitant. The granddaughter was also hesitant about León taking the dogs, even though she admitted not spending much time with the dogs when she visited her grandparents. As León waited for her to make a final decision, two months passed, and León started to give up hope. “I started getting really sad, and I had to stop thinking about them,” León said. Finally, León got a reply from the granddaughter in early July — she had permission to take the dogs. León had returned to Barcelona by that point, but she journeyed back to La Rioja to get the dogs. 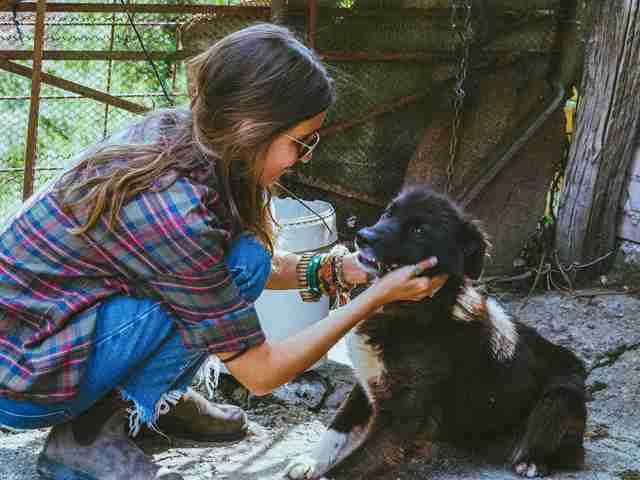 The owner met her at the shed and unchained the dogs. León still wasn’t sure how Opis was going to react to being handled, so she’d brought a muzzle — but she realized she didn’t need it. The dogs also couldn’t get enough of each other. León had arranged for Opis and Mori to go to a no-kill dog shelter called Lliga per a la protecció d'animals i plantes de Barcelona, whose staff had promised to give Opis and Mori vet care and find them forever homes. 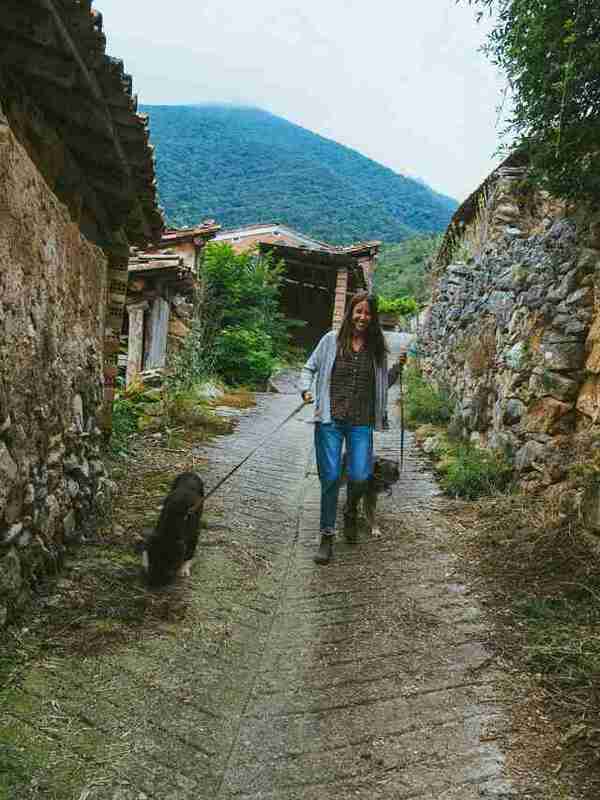 But before traveling back to Barcelona, León brought the dogs back to her family’s house. León managed to bathe them, and she took them for a couple hikes in the mountains. At one point, León even decided it was safe to let the dogs off their leashes so they could experience running. But instead of racing around, Opis and Moris just laid down together and cuddled. 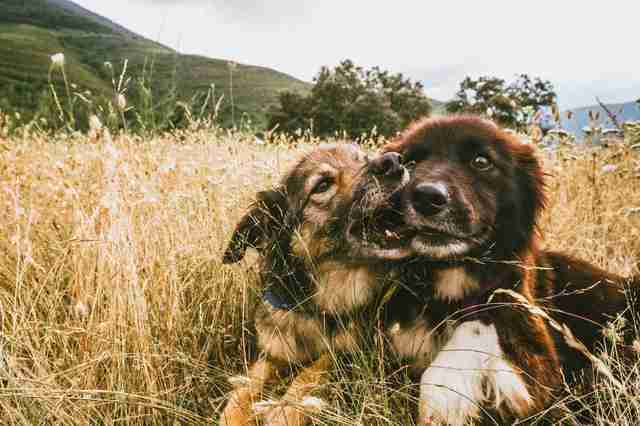 “They were a ball of fur together, just kissing and licking,” León said. If you live near Barcelona and you’re interested in adopting Moris or Opis, you can contact Lliga per a la protecció d'animals i plantes de Barcelona. You can also follow León’s dog rescue adventures on her Instagram page.